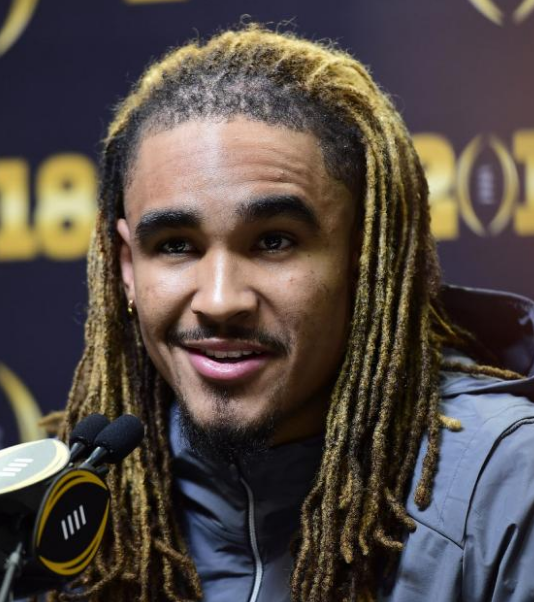 An American Football Quarterback who plays for Alabama Crimson Tide is widely recognized as Jalen Hurts. He is in a position of Quarterback. He plays for this team by wearing jersey number of 2. 20 years, Jalen was born on 7th August 1998 in Houston, Texas, the U.S. His father named is Averion Hurts and his mother name is Pamela Hurts. He also has two siblings named Kynnedy (sister) and Averion (brother). His nationality is American. He attended Channelview High School in Texas. He is currently attending Alabama College. Jalen has got a height of 1.88 m and the balanced weight of 99 Kg. Jalen started his career from his high school and was a second-team all-district selection as a sophomore and was also named the District 21-6A Overall MVP as a junior during his high school playing years. Later, he started as a freshman at Alabama Crimson Tide in the year 2016 and played against USC Trojans. He finished the 2016 season with 36 overall touchdowns for Crimson Tide with a total of 35. On 30th November 2016, he was declared as one out of the ten finalists for the Manning Award. Later, he was subsequently named SEC Offensive Player of the Year and SEC Freshman of the Year, and also he received Freshman All-American from several publications. On 6th December 2016, he was featured on the cover page of "Sports Illustrated College Football Playoff" magazine. On 9th January 2017, the team Alabama lost to Clemson Tigers with a score of 35-31. 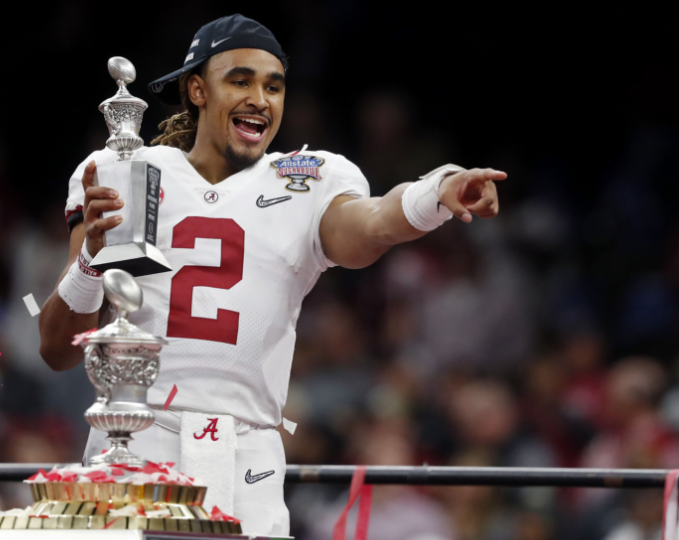 In the year 2017, he led Tide to a 13–1 season, where they played against Clemson Tiger in the 2018 Sugar Bowl. Hurts was the offensive MVP in the game & won by 24–6 over the Tigers. Hurts was benched at halftime of the 2018 College Football Playoff National Championship. Moving towards his love life, Jalen has not revealed anything about his relationship to the media. He is unmarried yet. He possibly may have a girlfriend. The net worth and salary of Jalen is still not revealed yet and will be updated soon. Hurts also participated in powerlifting. He is in a position of Quarterback. His shirt number is 2. He has two siblings named Kynnedy (sister) and Averion (brother). He is currently attending Alabama College.